SAN ANTONIO, TX--(Marketwired - February 12, 2015) - The Graffiti Run officially kicks off the new year in Six Flags Fiesta Texas located in San Antonio. 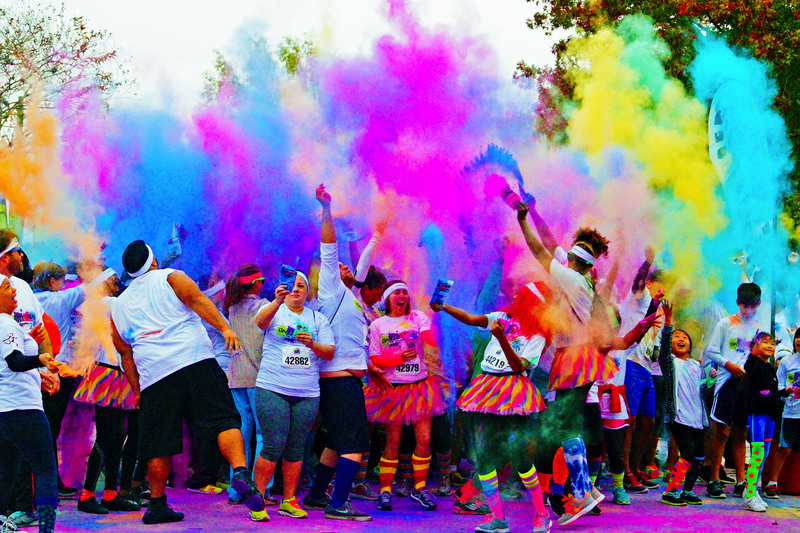 The 5K run, which covers participants in color powder, will start its first event of the year on the morning of Saturday, February 21st. The Graffiti Run promises to make new improvements for 2015, while also donating to one of the city's local charitable causes. Participants start off the race in white attire, and are free to run, walk, or dance through the track that snakes through the theme park. Along the way, they will encounter four color zones where volunteers throw just about as much color powder as they can on them. After crossing the finish line, runners will literally have a blast with throwing colors and the event's signature CO2-powered Color Cannons at the Graffiti Party. Fans of The Graffiti Run across America have known and loved the event's fun, colorful routine for the past several years, but The Graffiti Run intends to make this year's events even more special for the runners. With all this and more in mind, The Graffiti Run intends to reveal in better detail the individual colors that make up the whole experience. The Graffiti Run will donate a portion of the proceeds from San Antonio's event to the organization "Restore Education". This independent education group intends to "transform the at-risk youth of San Antonio into successful college and career-ready students" as they help those who have dropped out of high school. Donations can be made to Restore Education on their website. Participants can register on The Graffiti Run's website as well as at the event itself. Pricing for The Graffiti Run varies depending on how early or late one registers before the event. The earlier one registers, the more money is saved. For more information on The Graffiti Run, go to the FAQ page or contact Andy Stephens at: support@thegraffitirun.com. "Color Throws" like this one are performed throughout the event.